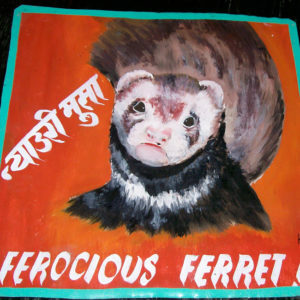 Amar Shrestha brought out the best in Clooney the Ferret in this hand painted portrait on metal. 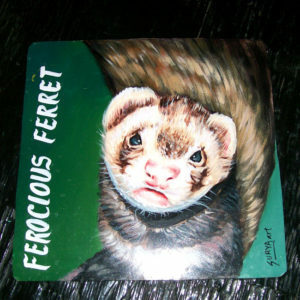 Clooney the Ferret was not so ferocious, but rather furry and fun like all his ferret family. 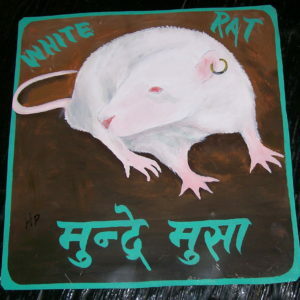 This white rat is a nepali pet rat. 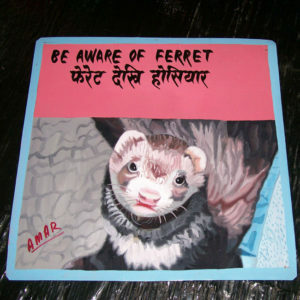 The earring was added as a bit of humor by the artist.